Gunilla Haydon is researching patients’ personal stories to help individualise hospital care and improve long-term quality of life. Gunilla is a skilled communicator, an imperative trait in her career as a registered nurse and educator. As a researcher, this talent also provides her with a unique opportunity: to use qualitative methodologies and narrative inquiry—inviting patients to share their stories—as a way of garnering new research insights, humanising patient care in hospital and, ultimately, improving people’s quality of life. “It’s easy for a patient to lose their individuality when they enter the healthcare system, and simply become part of the institution. To provide more personalised care, we need to understand patients’ experiences—from their point of view. Gunilla is currently leading the country’s first qualitative study into the experiences of cardiac arrest survivors. Cardiac arrest is a leading cause of death worldwide, and survival rates remain low. Despite extensive knowledge and research into cardiac health, there is limited information about how cardiac arrests influence survivors’ lives long term. The project uses narrative inquiry to investigate how long-term survivors of cardiac arrest readjust to normal life after being discharged from hospital. So far, her research reveals that survivors often feel abandoned by the healthcare team immediately after discharge, before they start receiving support from their rehabilitation team. This gap between discharge and rehabilitation care can often be many months long. Gunilla stressed that deeper consideration of the patient experience could help healthcare professionals deliver more patient-centred, individualised care that give people a better quality of life long term. Gunilla is also undertaking her PhD in this area. Her findings to date are published in the European Journal of Cardiovascular Nursing and the Scandinavian Journal of Caring Sciences. In her pursuit of better patient-centred care, Gunilla’s upcoming research will explore how humour can help build more therapeutic relationships between a patient and their nurse. Specifically, how can we use humour to improve care and communication? Gunilla was recently selected to participate in the ThinkWell Early and Mid-Career Women’s Development Program, facilitated through the Faculty of Health and Medicine's Gender Equity Committee. The program provides coaching and support to help researchers progress in their careers. For Gunilla, this includes developing both the research and teaching aspects of her work. 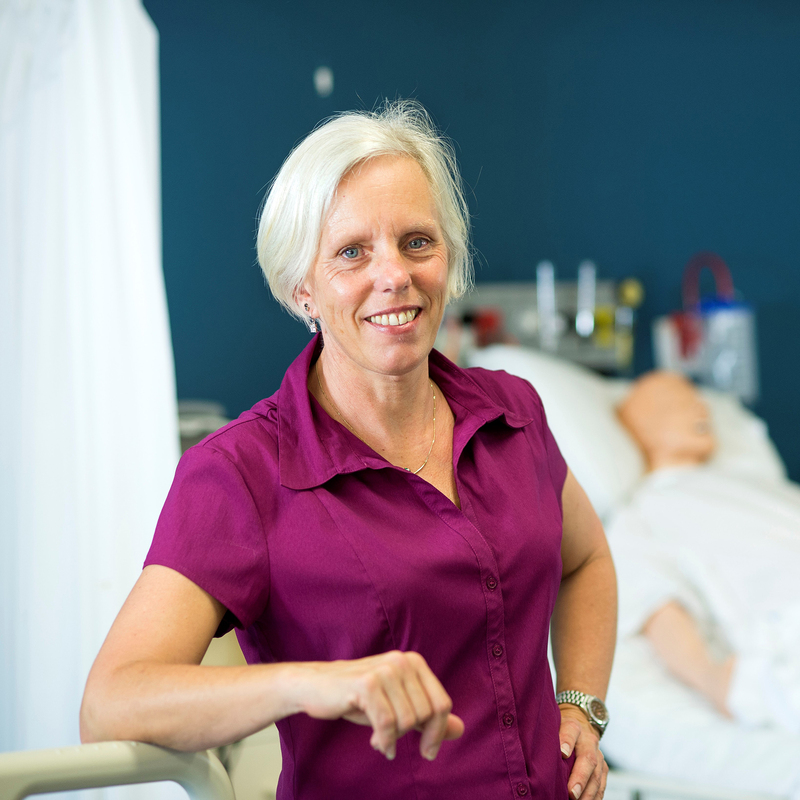 In 2018, Gunilla received the prestigious Australian College of Educators teaching award. As supervisor and lecturer, Gunilla relishes the opportunity to encourage nursing students and promote the use of evidence-based practice and research.